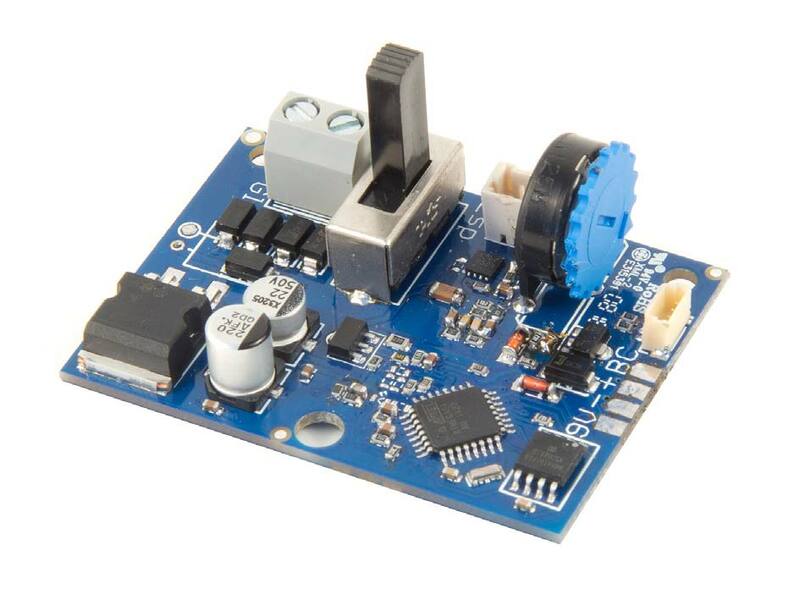 The Massoth Melody Module is a programmable sound module that may be used on a model train layout to play sounds in locomotives, cars, or stationary structures; it can play up to 12 individual sounds. The Massoth Melody Module is suitable for analog and digital operations. In digital mode, Individual sounds may be assigned to one of 28 function keys and played by pressing the assigned key; only one sound can be played at a time. Individual sounds may also be looped, activated, or deactivated permanently. In analog mode, the module plays a programmed sequence of individual sounds; the sequence starts automatically and repeats infinitely. The Massoth Melody Module features 2 contact inputs that may be used in analog or digital mode to trigger individual sounds with track magnets or other switches.